Thrilled to announce my first album release in FRANCE! I wasn’t planning on making another album so soon….but here it is! A brand-new collection of 12 songs all recorded in France. The French Sessions features 12 songs: six new songs plus six songs from the Velours album which we went back in the studio & modified. For example….you’ve GOT to hear the new version of Get Funkay with HORNS!! A mix of reggae, rock, funk, blues, jazz and a beautiful French chanson written by my great uncle Eugène Cavos in Paris in 1954, The French Sessions is very near and dear to my heart, being recorded in one of my favorite parts of the world, with wonderful musicians from the South of France, Paris, and NYC, and especially the wide variety of songs we have recorded in France recently. A spotlight into the creative freedom we all feel when we play together, so many styles of music, with musicians this talented – anything is possible. NYC meets France and the stars unite! So…. if you were wondering why you haven’t heard from me for a little while, this is why! Starting in January we were hard at work in the studio, adding backing vocals, horn parts, violin, guitars & more…and mixing the six new songs, plus editing and adding new parts to the songs from Velours. The French Sessions was mixed by Jérôme Buigues, mastered by Greg Calbi at Sterling Sound, released on Blanc Musiques with distribution by Inouie. Time to celebrate! My very first album release in France! Oui oui OUI! 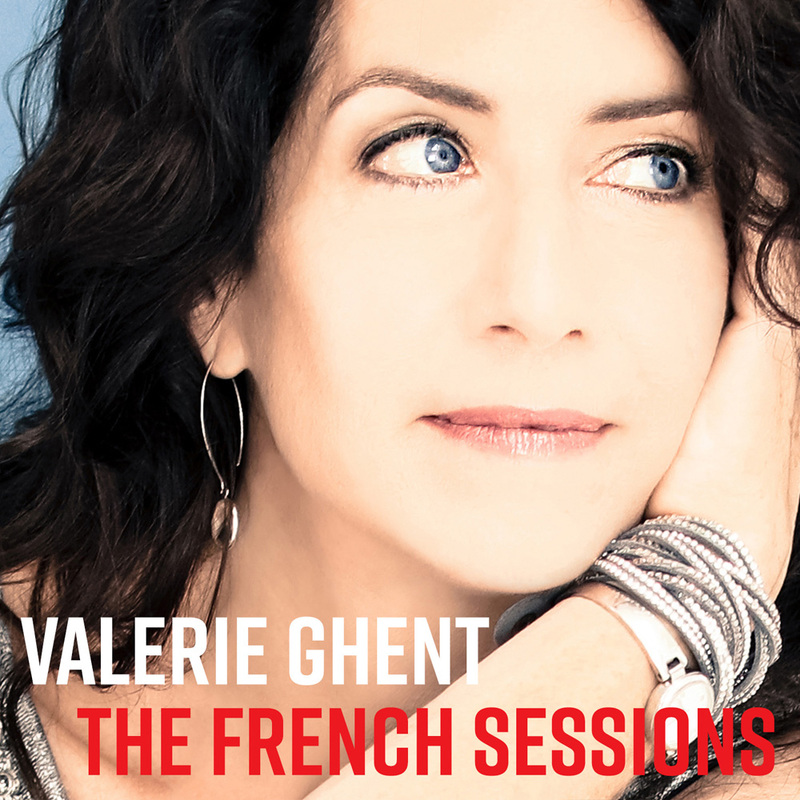 Musicians: Valerie Ghent, Jérôme Buigues, Pierre Sibille, Franck Taieb, Philippe Jardin, Bashiri Johnson, Alfa Anderson, Dennis Collins, John James, Keith Fluitt, Nicolas Baudino, Marc Borlet-Hôte, Dave Eggar, Katie Kresek, Elina Reale. Ever since recording Nina Simone in the South of France I dreamed of making an album here. The French Sessions is a dream come true….